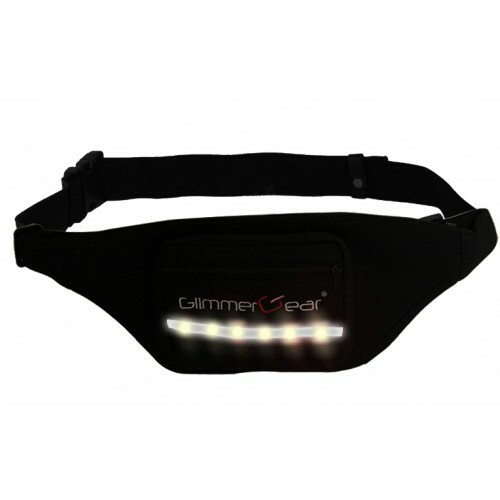 The best way to secure your essentials while you run or bicycle while also increasing your visibility. One Size Fits All. Adjustable waist band with fastener. Color: Black Pouch. LED available in red or white.